You might know him best as a team owner in NASCAR, but he owns 95 auto dealerships that employ 10,000 people. As such, he has seen a lot of change over the last few years and today he shares that experience. It’s good to be Rick Hendrick right about now. He’s the founder of the Hendrick Automotive Group, which is the largest privately held automobile dealership in America and the sixth-largest overall. There are 95 dealerships in 13 states, representing 29 different automotive nameplates. In 2014, the company’s sales topped $7.5 billion, which is an impressive number that will go up this year. The Hendrick Automotive Group employs more than 10,000 people now. Business is booming, which is a far cry from the hard days of 1976, when a then-26-year-old Hendrick became the youngest Chevrolet dealer in the United States by taking over a failing store in tiny Bennettsville, S.C. 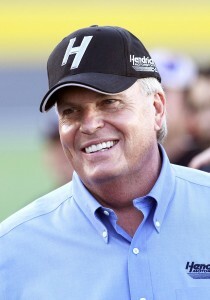 The success of Hendrick’s automotive business fueled his Hendrick Motorsports NASCAR empire, with his team this year going for its record 12th Sprint Cup championship. And Hendrick is an avid car collector, with more than 200 prized vehicles at his private facility in Concord, N.C. His latest fun car is a Porsche 918 Spyder, an 887-horsepower $845,000 supercar. As if that isn’t enough, he will soon head to the Corvette factory in Bowling Green, Ky., where he will build the engine for his own Corvette C7.R race car. Wheelbase Media caught up with Hendrick recently at his team headquarters, which is adjacent to his new auto mall, to talk to about the state of the automotive business. Suffice to say, business is good. Hendrick said the last recession proved to be an eye-opener for the automotive business. “What I learned through ’09 and ’08 was that people would give up their house, but they had to get to work. According to Hendrick the cycle of falling and rising gas prices is something that has been good for business, too. But the real money to be made isn’t selling new and used cars, it’s servicing them. Hendrick said his network of dealerships and service centers will paint 100,000 cars this year, and his 23-year partnership with paint supplier Axalta has resulted in a unprecedented move: Axalta is building a 45,000-square-foot Customer Experience Center on the Hendrick Motorsports campus. When opened next year, the facility will serve Axalta’s repair, transportation and industrial customers and will be a place to train technicians on using Axalta products. To Hendrick, it’s all part of the importance of service. So what’s the difference between a hugely successful dealership and one that’s just so-so? 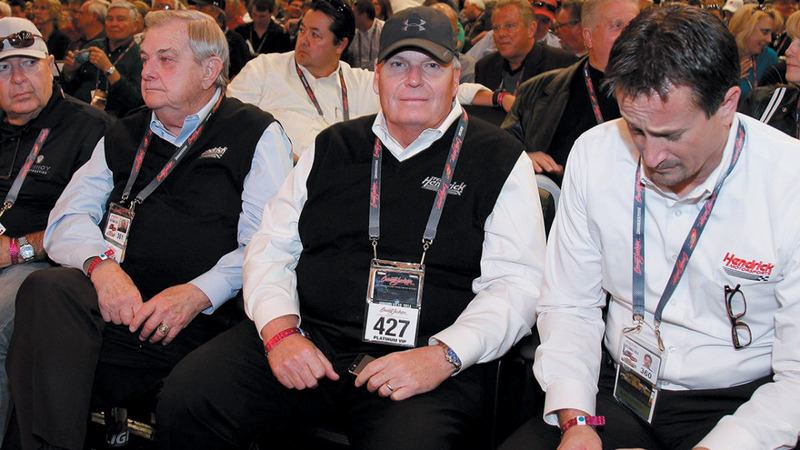 (Photo by Tom Jensen, www.wheelbasemedia.com) Rick Hendrick can often be seen at high-profile auctions where he has a habit of snapping up the very first of a new car line, such as the first seventh-generation Corvette Z06. Now here’s a cool promotion that works on several levels: Hot Wheels offered fans in New York City a chance to get a free ride in a Star Wars First Order Stormtrooper Dodge Charger modeled after the 1:64th-scale car that Hot Wheels sells. WHEN YOU’RE READY TO TRADE YOUR CR-V, YOU CAN ALWAYS GET ONE OF THESE: The upcoming Bentley Bentayga will carry an MSRP of $229,100 when it goes on sale in the United States in early 2016. That will make it the most expensive tall wagon in America. Rolls-Royce is also working on a similar product.